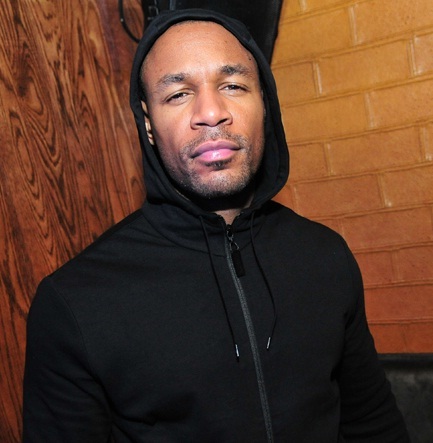 Singer, Tank, surprised many when he stepped up to defend new rapper, Lil Uzi Vert, against the major backlash he’s been getting as of late. 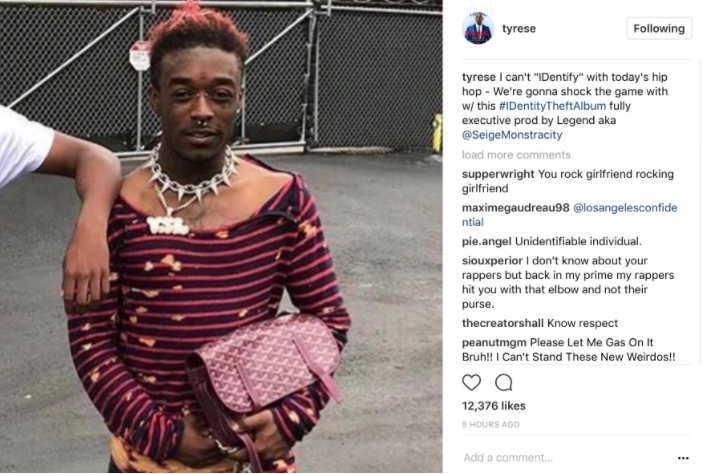 For those of us, Old Schoolers, who have no clue who Lil’ Uzi Vert is, here’s a quick breakdown: He’s the rapper whom millions of young people adore and he caused a media frenzy when a photo of him sportin’ a woman’s blouse and handbag recently went viral. It sparked an online debate about new school hip hop vs. old school hip hop as everybody and their Mommas weighed in on the topic. Lil Uzi Vert’s photo (below) drew so much attention because he is not gay, he’s actually known as a heterosexual rapper. Therefore, he’s confusing the hell outta many and embracing the concept of being ‘different’ in the eyes of many others. Tyrese’s post about rapper, Lil Uzi Vert’s (pictured above) attire. Tank slammed Uzi’s naysayers in a lengthy Instagram post, stating that he is “utterly disgusted” by the bashing Uzi’s been receiving. He then went on to compare Lil Uzi Vert to the iconic Prince and Michael Jackson…that’s when his fans reacted. @herealjaredscottperry: I thought they were grown men they are over 21 yes? Still don’t think they should dance like Tina Turner in their little sisters dress mumbling and somehow being compared to MJ & Prince. @dennislawhite: So you don’t believe that society tries to emasculate the Black Man? Open your eyes. Have a few conversations with some Strong Black Men and ask them. […] I have no intel on his sexual preference nor do I care. My issue is that his talent is minimum. Do me a huge favor. Google the lyric sheet of 3 of his songs and tell me where the talent and craft is. Don’t let his feminine wardrobe distract you from the fact that he’s wack. And he’s NOT “different” he’s wack. @akil_rashad: dennislawhite so 1) you’re saying you gotta be talented to dress how you want and 2) they’re not hip hop. If they’re not hip hop what’s the problem? Plenty of other rappers you can’t pay attention to. Leave them alone. 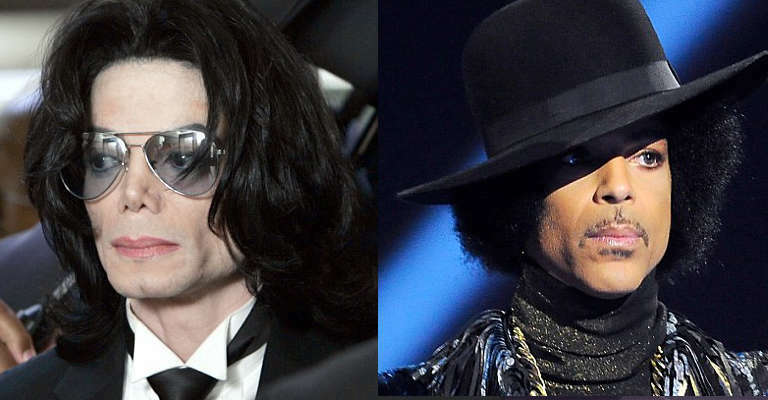 Talk to us ILOSM fam: Should Lil Uzi Vert (a) be compared to Prince and MJ? ; (b) re-assess his artistry? ; or (c) keep doing his thing just the way he is?